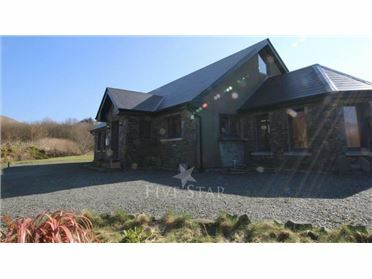 Greenbraes is a beautiful detached cottage situated near the village of John O' Groats, Caithness and Sutherland. 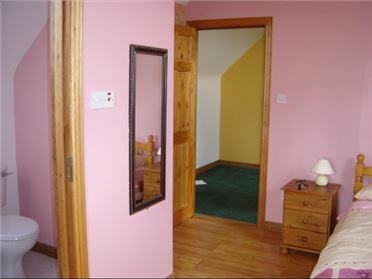 Hosting two bedrooms; a king-size, and a twin, along with a bathroom, this property can sleep up to four people. Inside you will also find a cloakroom, kitchen with breakfast bar, utility, dining room, and a lounge/diner with gas fire. To the outside is off-road parking, and an enclosed garden to the front and rear, with a swing seat and furniture. There is also a lockable garden shed which houses the barbecue and a games dartboard. Ideal for storing watersport gear and bikes. Located in a lovely setting with amazing sea views, Greenbraes is a one-of-a-kind cottage in an exceptional part of Scotland. Oil central heating with gas fire. Electric oven and ceramic hob, microwave, fridge/freezer, separate freezer, washing machine, dishwasher. 2 x TV with Freeview, Netflix and Amazon Prime, DVD, WiFi, selection of books, games and DVDs. Fuel and power inc. in rent. Bed linen and towels inc. in rent. Off-road parking for 2 cars. Enclosed garden to the front and rear, with swing seat and furniture. 3 Well behaved dogs welcome. Sorry, no smoking. Shop 10 minutes drive and pub 5 mins walk. Note: Lockable garden shed which houses the BBQ and a games dartboard, ideal for storing watersport gear and bikes etc. Note: One step into the property at the entrance. Note: There is a put up bed, suitable for children available on request from the housekeeper. Note: There is a gold course 4 miles away from the property.